Intel's NUC officially goes Skylake, and a quad-core "gaming" focused unit is on tap. Intel announced a new series of tiny NUC computers using its Skylake CPUs, but the real eye-raising news from the chip company is a forthcoming “gaming-focused” version, code-named Skull Canyon. 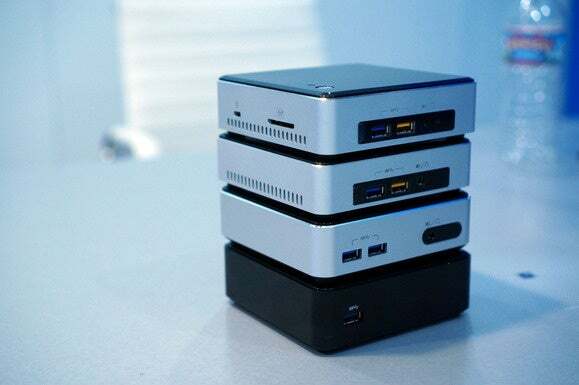 Rumors of a quad-core mini PC have been swirling for weeks, but in an unusual move for the typically tight-lipped company, Intel officials confirmed that a more powerful NUC is forthcoming. Although we aren’t able to show images of Intel’s quad-core NUC, it will be larger than previous models to account for the hotter quad-core Skylake chip; it will also pack the company’s top-end Iris Pro graphics. If you’re a gamer and just heard the needle scratch across the record, you know that even the upcoming Skylake Iris Pro is not the best graphics option for a PC. 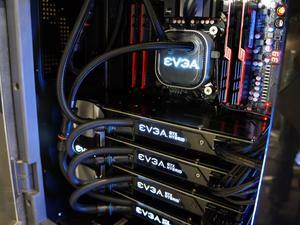 The best is a discrete graphics card, and in a PC of this size, that's not gonna happen. The game-changer, though, could be external graphics using Thunderbolt 3 across a USB-C port. Although the only specs we have for the Skull Canyon NUC is the core count, it doesn’t take a genius to figure out that Intel could try to use an external graphics solution, similar to what Razer did with its Core. Availability, pricing, and even how the final units will look and what ports they’ll have aren’t known yet, as Intel didn’t dish details. It did, at least, tell us that the updated Skylake NUC barebones will pack 802.11ac, dual-core chips, and support for DDR4 RAM. Other changes include an SD card reader and a full-sized HDMI 1.4 port instead of the mini HDMI currently used, as well as DisplayPort 1.2. The dual-core NUCs are expected next month.